Babies in Mass | T.O.T.E. We went to a Good Friday service at the little church next door to my Grandparent’s house in Benton City, WA (fun facts: my great grandpa donated the land for the church, it’s the church my grandparents were married in, my parents were married in, and where Mo was baptized!). With a great influx of Hispanic parishioners in the last ten years, this parish has been transformed from a dying, aging congregation to a vibrant, living one. Amazing! There are still a few English speaking parishioners, so services are offerred in both Spanish and English. This is all background information in order to explain why there were only seven of us at the English Good Friday service. And I think that’s probably counting the priest. Included in those seven intrepid attendees was a family with small children (not us for a change!). As children do, they made a little noise during Mass. And, as it turns out, it’s hard to hide in a crowd like ours. His joke took me by such surprise, I’m pretty sure I snorted. Tomorrow, Andy and I are off for a weekend ALONE! What?! My brave, brave sister Jessie is watching the girls as I head out for a hiking photography class. We’ll also be celebrating our 6th Wedding Anniversary! But also a lifetime ago, I’m sure. 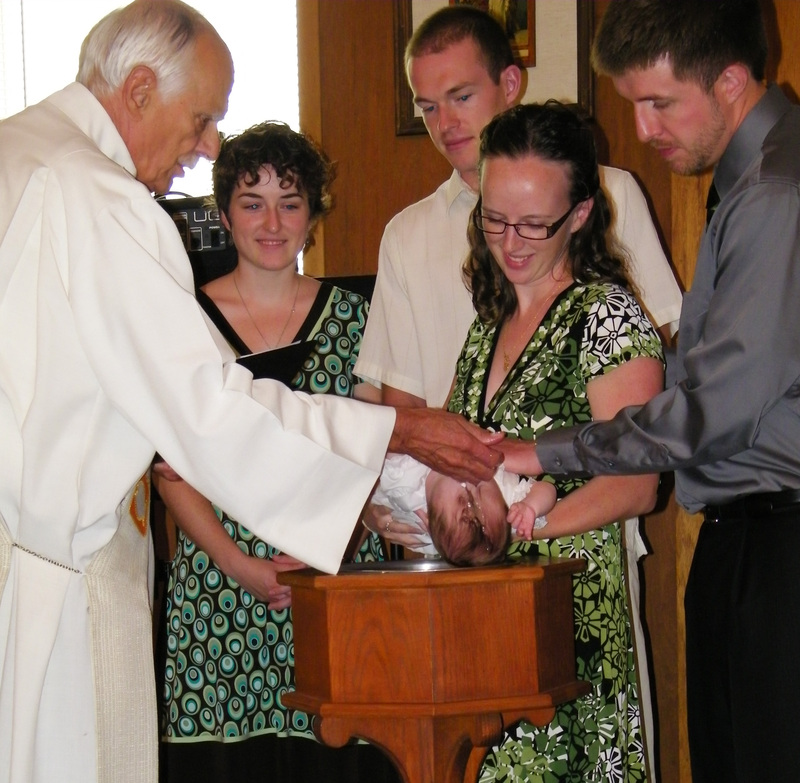 This entry was posted in Uncategorized and tagged Blast from the Past, Catholic, Faith, Family, Funny, Just Us, Mo Pic, Photography. Bookmark the permalink.